Evangelist preacher Franck Kabele, 35, told his congregation he could repeat the biblical miracle [of walking on the water]. But he drowned after walking out to sea from a beach in the capital Libreville in Gabon, west Africa. Five people ended up in hospital in Australia after a fight over a pigeon. Four others were treated for minor injuries and all nine were spoken to by police in Melbourne. 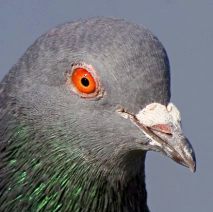 Police were called after a fight broke out between two neighbouring families disputing the ownership of the pigeon. The fight ended with five men taken to hospital with scratches, cuts, bumps and bruises to their heads and bodies. The men were of varying ages, the eldest in his 50s or 60s, an ambulance service spokeswoman said. A US news reporter uncovered a marijuana plantation – outside the front door of a police station. 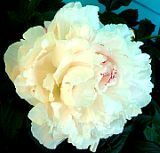 Janna Goerdt, of the Duluth News Tribune, found 12 plants growing outside West Duluth police substation in Minnesota. She heard a rival news team talking about “something interesting” in front of the police station and decided to check it out. Goerdt took a walk around the building and found the marijuana plants. She plucked one of the leaves and brought it back to the newspaper. Duluth City gardner Tom Kasper was given the leaf for inspection and confirmed that it came from a marijuana plant. West Duluth police Lt John Beyer pointed out that he, his police officers and the public use the backdoor entrance to the police station. The front door was usually locked and not used. “Enough is enough.” Indeed so. An Argentine pensioner is suing a garage who claim they have been fixing his car for the past six years. Jose Orono, claims he took his Fiat 600, model 1970 to the repair shop in 2000. But a week after the car was in the shop, the owner, told Mr Orono that he would need another 2 weeks to fix the car. August 31, 2006 Posted by oldstersview | Uncategorized	| Comments Off on “Enough is enough.” Indeed so. The eccentric British sport of hurling wellington boots has been given a mechanical makeover by scientists at Aberystwyth University. More commonly known as welly wanging, experts have built a machine capable of propelling a welly up to 262ft (80m). A team has taken an engine from a concrete mixer and a gearbox from a Citroen 2CV and devised the robotic “wanger” for a TV programme. 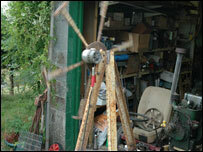 The team’s machine is set to compete in Channel 4’s Scrapheap Challenge. Richard Shipman, who teaches artificial intelligence, Andy Shaw, a researcher in space robotics, and computer technician Ian Izett, have built the wanger using scrap metal and discarded mechanical parts. Powered by a diesel engine, the wellingtons, up to six at a time, are fired from a two-metre diameter computer controlled disc which rotates at up to 250 times per minute. A second computer monitors wind speed and direction and relays the information via a third computer and a radio link to a laptop where team members can monitor its progress. World’s oldest person dies at 116. Vaya con Dios, Senora. The world’s oldest person, a 116-year-old Ecuadorean woman who drank donkey milk for health, died on Sunday less than a month before her birthday, her relatives told local newspapers on Monday. Maria Esther de Capovilla was declared the world’s oldest person in December by Guinness World Records, taking the title from a U.S. woman. Capovilla was born in Guayaquil in western Ecuador on September 14, 1889, the same year that Adolf Hitler was born and the Eiffel Tower was inaugurated, and lived in a ritzy neighbourhood with her daughter-in-law and son. Her eyesight was good up to the end and she never needed glasses, they said. 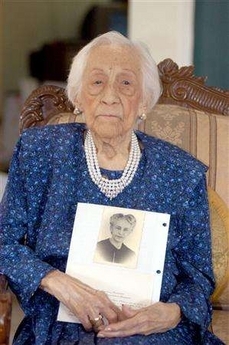 August 28, 2006 Posted by oldstersview | Uncategorized	| Comments Off on World’s oldest person dies at 116. Vaya con Dios, Senora. A woman in Hohhot, the capital of north China’s Inner Mongolia region, crashed her car while giving her dog a driving lesson, the official Xinhua News Agency said Monday. No injuries were reported although both vehicles were slightly damaged, it said. The intersection of Main and Elm streets in Monroe was a bustle of activity while Monroe police and fire crews and the Butler County Sheriff’s Office Bomb Unit responded to the Monroe Historical Society, 10 Elm St., where a resident reported at 10:45 p.m. Wednesday that suspicious-looking subjects left a package outside the building. “Police did find a package. It was in some bushes and covered with duct tape,” said Monroe dispatcher Mike McKinney. The Butler County Sheriff’s Office Bomb Unit took a digital X-ray of the cylinder, which revealed a notebook and small trinkets typically left by people on geocaching scavenger hunts. Monroe police Chief Greg Homer said what the resident saw was the “tail end” of activity of someone in the dark leaving something in the bushes. “They didn’t see the person write their name in the notebook and leave a souvenir,” Homer said. After determining the package was a geocaching prize, the police also signed the notebook, left a toy badge as a souvenir and put it back in place, he said. Geocaching is an outdoor treasure-hunting game in which the participants use a Global Positioning System device to hide and seek containers called geocaches—waterproof containers with a logbook and a treasure of small toys or trinkets. Participants who find the containers sign the log book, remove a souvenir and replace it with a trinket they have brought. More about geocaching here if you are interested. Half a million household wheelie bins have been secretly tagged with hidden electronic “bugs”, it has been reported. The tiny devices identify each bin so that records can be kept on the waste disposal habits of its owners, and up to 500,000 bins in council districts across England are thought to have already been fitted. The move has raised fears that some local authorities may be planning to charge residents for the weight of rubbish they collect. The devices carry a unique serial number which can be scanned when the bin is tipped into a refuse lorry. Some lorries carry weighing equipment which collect how much rubbish is collected and link the information to the appropriate bin. Areas where the devices are said to be in use include Crewe, Nantwich, Peterborough, South Norfolk, Woking and Devizes in Wiltshire. How do you say corn in French? What could be a more appropriate homage to a cook than to have her likeness rendered in food? When children run through a corn maze in western Massachusetts, they are actually running through the hair and down the arms and into the pots and pans of the worlds favorite French chef, Julia Child. August 27, 2006 Posted by oldstersview | Uncategorized	| Comments Off on How do you say corn in French? An American man helped foil a burglary 4,589 miles away in northern England after spotting suspects raiding a shop whilst watching a webcam over the Internet, police said on Friday. The man from Dallas, Texas was using a live camera link to look at Mathew Street, an area of Liverpool synonymous with the Beatles as it is home to the famous Cavern Club where the band regularly played. Officers were sent to the scene and three suspects were arrested. Essex police: We are not amused. As protests go, it spells out the sentiments of many motorists. But police have failed to see the funny side after a saboteur started altering ‘Speed Cameras’ signs to read ‘Greed Cameras’. August 25, 2006 Posted by oldstersview | Uncategorized	| Comments Off on Essex police: We are not amused. A tram driver in Melbourne has been given an on-the-spot fine after he was caught speeding. 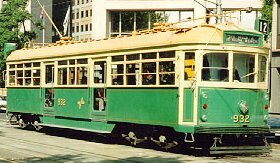 A traffic policeman with a laser radar gun clocked the tram at 35 mph in a 25 mph zone, reports the Australian. “It’s the first time that a member has detected a speeding tram. He said it was quite unusual,” a traffic police spokeswoman said. The officer said the tram driver was “co-operative”, the spokeswoman added. “There was no animosity,” she said. The driver was fined the equivalent of £85 and will lose three points from his normal driver’s licence. Yarra Trams spokesman Colin Tyrus said the driver also would be counselled by the company and would be subject to an internal disciplinary process. “There’s no exception for tram drivers to the speed limit,” Mr Tyrus said. A homing pigeon got lost and ended up 5,000 miles away from her British home – on a Caribbean island. Judy changed course while flying in a 600-mile race from Bourges, northern France to Northumberland, reports the Sun. Instead she landed in St Eustatius in the Dutch West Indies. A fishing boat brought an unusual catch into the State Fish Pier on Wednesday — a World War II-era mine. Local public safety officials and state police safely detonated the device several hours later. Gloucester firefighter Frank LeClerc said the 20-pound anti-ship mine was snagged from the ocean floor by a dragger net. The fire department and state police bomb squad took it to a remote location and safely blew it up at about 12:30 a.m. Thursday. Astrology will be just as accurate as it always has been. Scientists may have demoted Pluto to the rank of a “dwarf planet” on Thursday but astrologers foretell no major changes in the way they read the heavens because of the move. Russell Grant, a British astrologer and best-selling author, said Pluto’s planetary demotion was not a surprise after years of discussion and he would not change the charts he uses for his clients or millions of visitors to his Web site. “I personally am shaken not stirred,” Grant said in a telephone interview from Britain. “It’s very interesting that Pluto’s been downgraded in a planetary sense because he could never be downgraded in a mythological sense. I will continue to use Pluto because he gives me the ability to look into people’s charts and see where they’re coming from psychologically,” he said. Grant noted that astrologers had long used non-planets, such as Earth’s moon. He also charts several asteroids, which are inside the solar system but much smaller than planets. August 24, 2006 Posted by oldstersview | Uncategorized	| Comments Off on Astrology will be just as accurate as it always has been. At my age I’ve seen it all, heard it all, and done it all. Problem is, I can’t remember it all. August 24, 2006 Posted by oldstersview | Uncategorized	| Comments Off on Sigh! North Wales is facing a gold rush after whale vomit was [recently] found washed up on its beaches. Valuable ambergris – known as floating gold – has…been found at Rhos on Sea and Shell Island, reports the Daily Post…. Ambergis is used to produce perfume and can fetch more than £10 a gram. It is produced when the whale has been eating squid and their parrot-like beaks have irritated the walls of its innards. Rarely recovered on British shores, ambergris is usually found on the coasts of the United States and Australia.